An automobile’s transmission is vitally important to its overall performance. If the transmission goes bad, the vehicle will go bad as well. This is why, when transmission problems present themselves, it’s best to deal with them swiftly. Failure to deal with such problems in a timely manner can result in a number of problems. Curious as to what these problems are? Keep on reading. We’re going to discuss the importance of swiftly repairing a bad transmission in Chicago. What Happen When You Don’t Make Repairs? Generally, when you don’t repair an ailing transmission, your car will begin accelerate more slowly than it once did. For instance, whereas a vehicle with a healthy transmission might accelerate to 60 miles per hour in 7 seconds, the same vehicle with a damaged transmission might only accelerate to 60 miles per her in 10 seconds. A few different problems can cause a transmission to behave in this manner. However, the most typical problem is deteriorated transmission fluid. Regardless of what the problem is, a transmission repair shop will be able to help you. Another thing that often happens when you don’t repair your transmission is that your vehicle won’t stay in the proper gear. You could be driving smoothly at 45 miles per hour, only to feel a sudden jerk or surge. If you encounter this, it is wise to have your transmission inspected and repaired as soon as possible. The worst-case scenario of continuing to drive with a faulty transmission is stalling completely. This generally occurs when your transmission loses the ability to put your vehicle in gear. Ideally, you will have your vehicle checked out and repaired before this much bigger issue occurs. After all, nobody wants to be stuck on the side of the highway. A sure sign that your transmission requires attention is if your transmission fluid is burnt. Whereas fresh transmission fluid possesses a dark red tint, burnt transmission fluid possesses a black or dark brown tint. You can take a look into your transmission every 6 months to see how its fluid is fairing. The precursor to your vehicle not staying in gear is a hesitation in shifts. For instance, as you’re accelerating, and as your gears are changing, you might experience a slight “delay” in movement. Your car might even jerk. This is a cause for concern that requires the expertise of a transmission repair mechanic. If you see dark red fluid under your vehicle, you should be very alarmed. This is likely transmission fluid, and transmission fluid should never escape your transmission. Should you experience a transmission fluid leak, we recommend taking your car into the shop right away. Do You Require Transmission Repair in Chicago? Is your transmission demonstrating signs of deterioration? In need of transmission repair in Chicago? If so, King Transmission Company is the company to call. 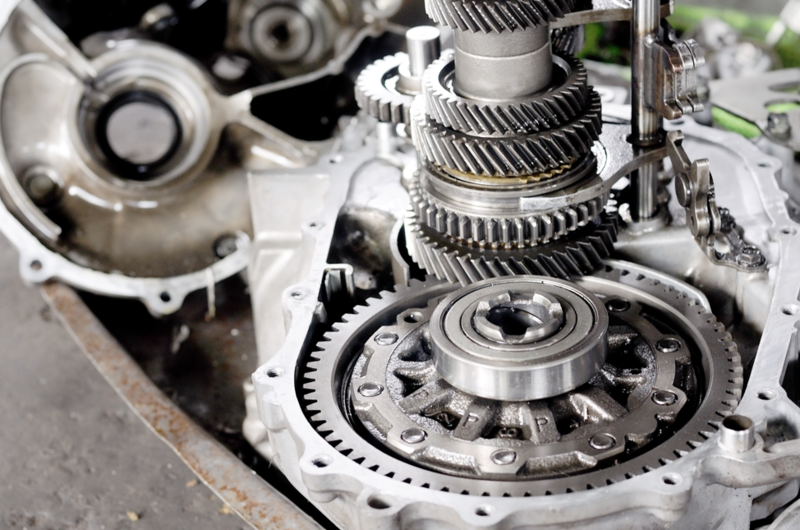 Over the years, our team of seasoned transmission repair mechanics has repaired thousands of transmissions throughout the Chicago area. Regardless of the make and model of your automobile, we can do the same for yours. Contact us now to schedule an appointment!